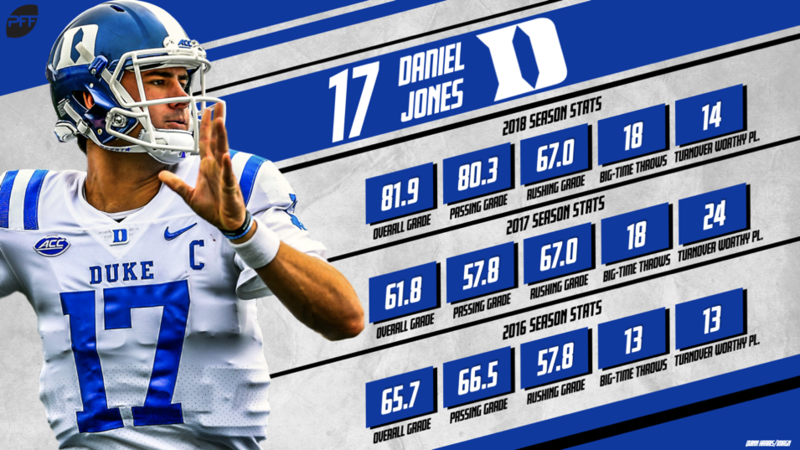 PFF’s fifth-ranked quarterback in the class is Duke’s Daniel Jones. At 70th overall on the PFF draft board, Jones is a third-round prospect who is likely to be overdrafted. He has shown that he has the capability of making big-time throws in inapt situations but tries to force too many of them when they just aren’t there. Jones faltered when the pocket collapsed, recording a 59.7 passing grade against pressure. It didn’t help matters that he had the most dropbacks under pressure than any of the other top quarterbacks in the class. Nonetheless, his unwillingness to go down when faced with pressure and effort made to make a throw hampered his performance more than it helped. 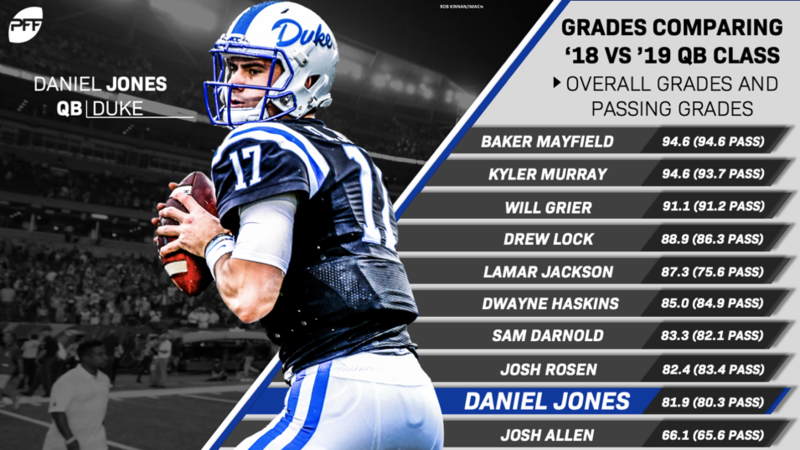 There is reason to worry with Jones, as his overall grade is higher than only Josh Allen’s when comparing the 2018 and 2019 quarterback classes. 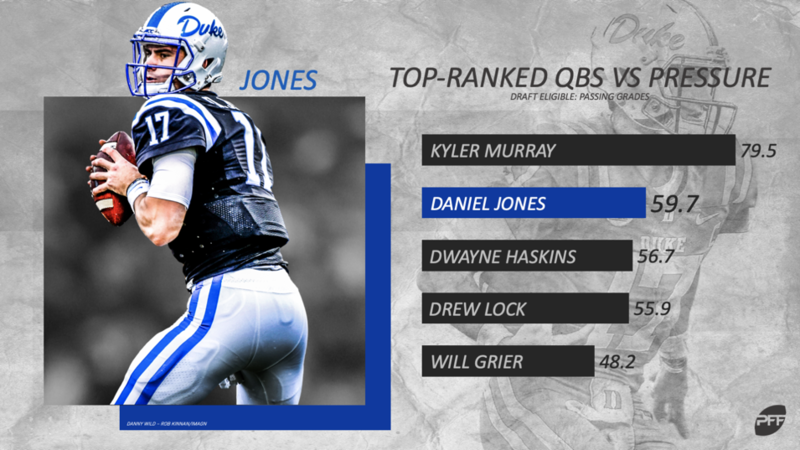 Granted, he was not in the greatest of situations at Duke, as he had one of the lowest-graded offensive lines in the FBS and the second-most drops by receivers among all quarterbacks in the 2019 class. However, these factor into the PFF grading system, raising concern for Jones’ future as an NFL quarterback. Jones showed great improvement from 2017 to 2018, but not quite the improvement needed to become a first-round talent. By dropping his turnover-worthy play rate by over a percent and a half from 2017 to 2018, there is optimism that he can continue to improve and develop under an established NFL quarterback. All of PFF’s 2019 NFL Draft Profiles can be viewed here or on PFF’s YouTube Channel. Follow along as we go through all the top prospects in the draft.